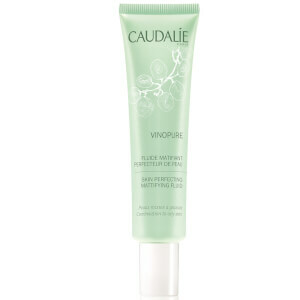 Caudalie Vinosource Moisturizing Matifying Fluid is a lightweight formula which provides long-lasting oil control action. Packed with organic grape water to sooth, and flax seed powder to matify, it reactivates the skin’s hydration mechanisms and replenishes its water reserves. The skin’s balance is restored for a velvety, matte complexion. This fluid is oil-free, hypoallergenic and non-comedogenic. Very suitable for combination skin. It can keep my skin moist a whole day. The unique smell also makes me happy.I will order it again. Love the texture so much. Smooth, non-greasy, fast absorb and moisture enough. I've combination to oily skin. My oily nose has been disappeared after using it. Will definitely order again. 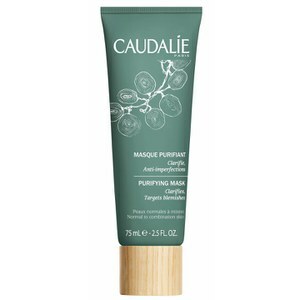 This Caudalie Vinosource Moisturising Matifying Fluid is a great moisturiser that I find works great as a primer in the morning before makeup! Once absorbed, you can feel the skin softened and pores appear reduced. Only 4 out of 5 stars as scent is a little odd, and in the evening I prefer something a bit more moisturising (can feel a little tight after use). Very good, light moisturiser, ideal for oily skin. This Caudalie Vinosource Moisturising Matifying Fluid is really good, and I would like to recommend this product to my friends.